When your muscle twitches, it is caused by small movements in your muscles. The twitches are involuntary, only affecting a small area. Most of the time, you are the only one who knows they are happening. Usually, they are only temporary, but if they start to happen more often, you may be interested in knowing how to stop muscle twitching. Muscles twitches, also called fasciculations, are more irritating than anything else. Usually harmless, they occur most common in your legs, feet, arms, fingers, hands, head, stomach, and eye muscles. Most of the time, the twitches go away on their own, lasting only a short while. If caused by an underlying condition, they will typically go away once it is resolved. When you do not drink enough water, your muscles become dehydrated. This causes them to cramp and have spasms. Typically, the common rule of thumb is eight ounces of water about eight times a day, but if you are active, this may not be enough. Also, if you are larger than most, you may need to increase your water intake. Remember, if it is hot enough outside, you are sweating, or you’ve been drinking a few beers, or you have been running or active, make sure to stay hydrated and drink plenty of water. 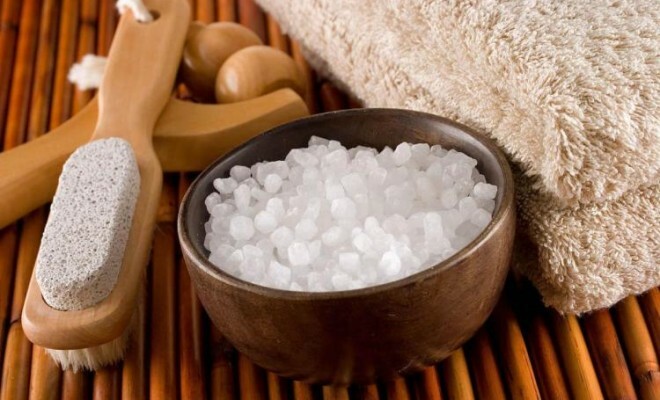 When you take an Epsom salt bath, you are saturating your body with magnesium. 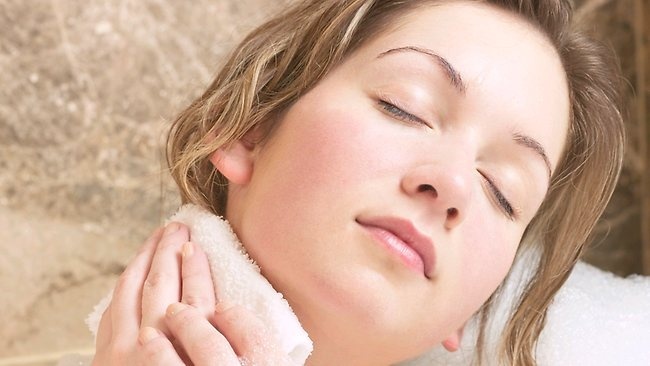 Your skin soaks it up through your skin, relieving tense muscles and removing toxins. The warmth of the bath helps wash away stress and soothe muscle tension. It is a great way on how to stop muscle twitching. If you prefer to shower, you can direct the water flow to hit your tense muscles to loosen them up. After the bath or shower, rub peppermint or lavender oil on the sore areas to help alleviate the pain. Applying a warm compress to the affected area can help relieve pain and tension. The heat of the compress and the applied pressure work together to prevent or stop muscle twitching. Simply soak a cotton washcloth in hot water. Squeeze the excess water out and apply to the cramped or tense muscle. Continue for about 15 minutes. Reapply as needed. Stretching can relieve tension before the muscle tightens to the point of twitching. It only adds about 15 minutes to your exercise regime. You want to stretch areas like your ankle, hamstrings and quadriceps. Hold your stretches for a minimum of 20 second. Sitting and walking upright is a great way to stretch during daily activities. Do you suffer from muscle cramps and twitching in your legs? Once it is tolerable, try this stretch. If the cramp is radiating from the back of your thigh, bend the leg at the knee and grab the foot from behind your body and pull it up until you feel the stretch in the front area of your thigh. If you are suffering from aches and want to know how to stop muscle twitching, massage may be the answer you are looking for. Massage has been used medicinally for centuries and is considered an alternative medicine for muscle pain and discomfort. Massage stimulates your body so you release endorphins, which in turn relieves tense muscles and promotes blood flow. Acupuncture is considered an alternative medicine and is often used for several conditions including muscle tension and pain. It works through stimulating certain nerve endings and specific points in the body. For regularly occurring pain, you may need more than one treatment. 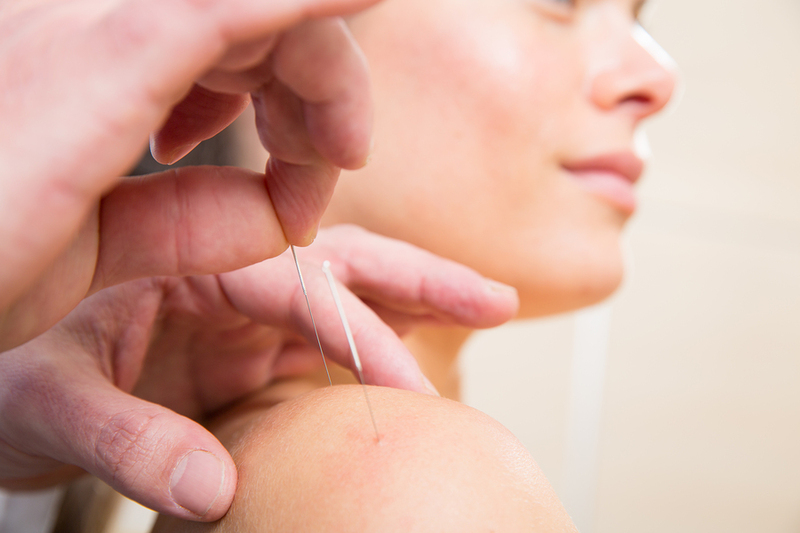 Often, acupuncture is used in combination with massage. 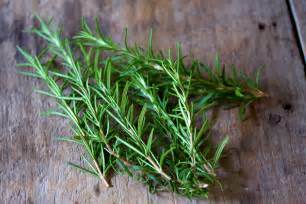 Rosemary is known to have several properties that can treat muscle pain, cramps and spasms. There are simple ways to use the herb. For instance, you can massage rosemary oil into the aching muscle or take a bath infused with it. You can also create a tea by steeping dried rosemary in boiling hot water. Strain leaves and drink up to twice a day. Avoid rosemary if you are pregnant as it can cause contractions of the uterus. Cramp bark has medicinal properties used to soothe muscle cramps and spasms. Women often use it to relieve menstrual cramps. It is most commonly found in tincture form. Simply take between 30-60 drops every hour, reducing the amount as the cramps disappear. Chamomile is used medicinally for several ailments, including muscle pain and cramps. Because it contains glycine, it is considered an effective muscle relaxer. The easiest way to use chamomile is to boil the flowers in water, steeping for 8-10 minutes. Strain the flowers and add honey to sweeten. Drink as needed to relieve pain and cramps. You can also apply chamomile oil to the muscle, rubbing and massaging it into the affected area. Do not use chamomile if you are pregnant because it can cause uterine contractions. Also, use caution when drinking it as a tea as it may cause drowsiness. Do not drive until you know how it affects you. Apple cider vinegar is considered an effective home treatment for muscle cramps and spasms. It has properties that allows it to rid your blood of acid crystals. If you are low in potassium, drinking it can replenish your levels. 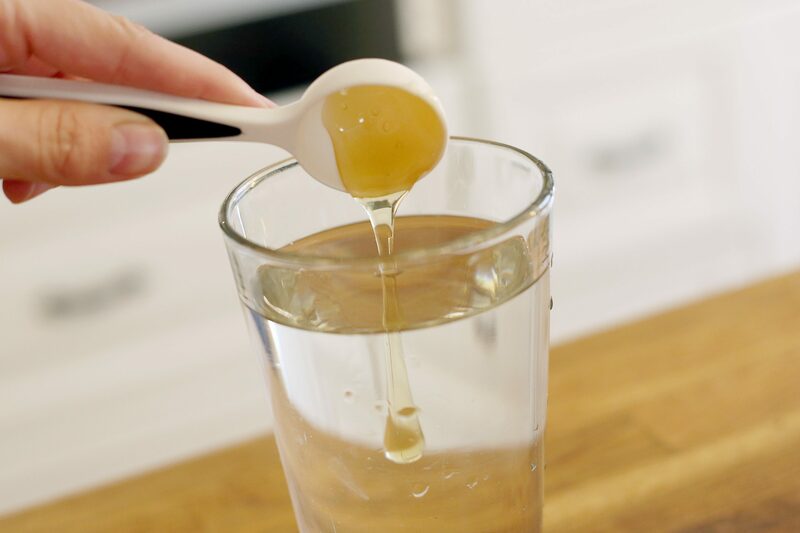 To use, simply add 1 teaspoon of honey and two tablespoons of apple cider vinegar to one glass of warm water. Drink once a day to relieve muscle pain and to prevent reoccurrence. Thinking about how to stop muscle twitching? A change in your diet may be the answer. One of the most common causes of muscle cramps is low potassium levels. This can be easily remedied by adding potassium-rich food to your diet. 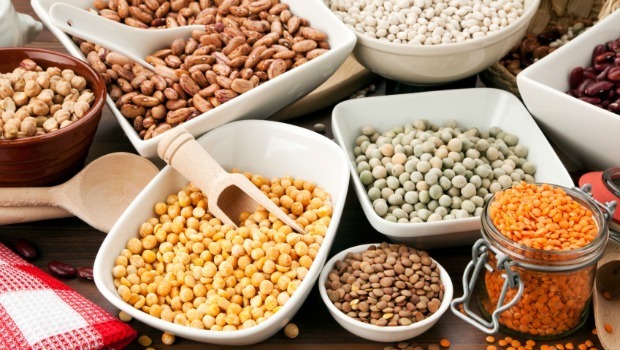 Examples of good sources of the nutrient are lima beans, winter squash, broccoli, bananas and apricots. Studies also show evidence that vitamin B foods can help relieve leg cramps. Some foods rich in this vitamin are wild-caught fish, eggs, yogurt, leafy vegetables and legumes. If your muscle twitching and pain is caused by inflammation in your neck, back or shoulders, a visit to a chiropractor may be the answer to your discomfort. A chiropractor can treat the area of discomfort by manipulating your muscle and joints so they are aligned properly. Often, treatment is combined with massage and physical therapy.